Hello everyone and welcome to Campbell River Whale Watching's new blog. 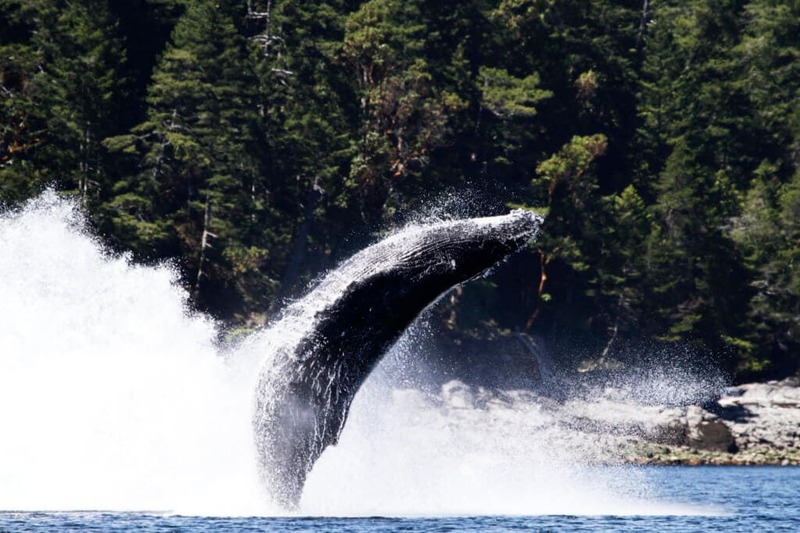 Over the last twenty-two years we have established and nurtured a vibrant whale-watching community in the Campbell River/ Discovery Islands area. As Hurricane Jack Adventures and later Campbell River Whale Watching and Adventure Tours, we have had so many exciting and enlightening “Go Wild” experiences. In this blog we will share highlights of our adventures and explore some of the most interesting developments happening within the marine wildlife populations and ecosystems of our coast. Those of us who spend a lot of time here on the water, particularly in Discovery Passage and the marine area between Campbell River and the mainland of British Columbia, have noticed that what we are seeing each day is changing. Let's kick off this blog series with a look at the most dramatic and exciting change we are seeing right now, the huge influx of Humpback whales into the waters on the east side of Vancouver island. During the latter part of the 1990's Humpback Whale sightings in Discovery Passage in front of Campbell River would have been limited to four or five animals and only during the Spring, Summer and Fall months. Today, in the Summer alone, we can expect to see 10 to 20 Humpbacks feeding between Powell River ( just south of Campbell River) and Kelsey Bay, (50 kilometers north) each day. As well, it appears that one or two have taken up residency in our area so they are often seen in the winter months near Powell River and in front of Campbell River. The big question is – Why are they here? Let's talk more about that next time.